What is Global Energy Certification? Your questions answered here. What are the benefits of earning the Global Energy Certification (GEC) designation? What happens if I take the examination before my payment plan is completed? Can I have a refund if I don’t want to take the exam? Can I change my mind after taking the exam? How long does it take to complete the GEC program? Are the course materials included in the tuition price? What is the Global Energy Certification (GEC) designation? What makes the GEC designation different from other professional designations? I’m registered for the GEC, but when and where do I take the exam? If I am unable to take the exam within the 12 months following registration, can I move it to a future exam date? What will I be able to add to my resume after completing this program? What tangible benefit will I receive in terms of positioning my knowledge and skills against others competing for similar jobs? How much will I have to study or prepare for the GEC before sitting for the exam? I live outside of the USA, the United Kingdom and the European Union. Can I still earn the GEC designation? I know that I want to earn the GEC designation; how do I register for the GEC Programme? How was the Global Energy Certification (GEC) programme started? What is the story behind what your training firm provides here within this program? I have read that the GEC is a rigorous and thorough course. What happens if I do not pass the exam? Can I take it again? Can I use the text books, Wikipedia, the internet, etc., during the examination? What if I register for the exam and then change my mind? Can I get a full refund for the cost of the program? How much does the Global Energy Certification (GEC) programme cost? What are the passing rates for the GEC examination? What makes the GEC programme reputable? Who supports it? How well is NRG Expert known in the industry? What are the prerequisites for the GEC program? When should I expect to get my GEC exam results back? Does NRG Expert offer scholarships or discounts off the GEC program? What score do I need to pass the exams? When is the exam open for registration and when does testing occur? How do I receive the certificate upon programme completion? Is there a time requirement on completing the designation? Is the GEC Designation available in languages other than English? As an employer, why should I hire someone who has earned the GEC designation? I am currently a student. What are the benefits of earning the GEC designation for me? What methods of payment are accepted for the GEC fees? Question: What are the benefits of earning the Global Energy Certification (GEC) designation? Advance Your Business or Career by raising your level of energy industry knowledge and increasing your ability to work quickly and effectively. Specialized knowledge is valuable, and mastering the basics allows you to work more efficiently than your competitors. Exclusive Access to GEC versions of NRG Expert Reports and Databases that are part of the course syllabus. Upgrade Your Resume & Pedigree by adding the GEC designation to your resume, assuring employers that you are dedicated to working in the energy industry, passionate about learning more about the energy industry, and able to work more efficiently after being promoted or hired. Once certified, enjoy a lifetime of membership as a GEC with NRG Expert with exclusive access to industry intelligence, and product discounts. Allow NRG Expert to promote you a recent GEC graduate to its impressive international database of clients. All graduates will receive recognition in NRG Expert’s renowned “Talking NRG” publication that is distributes to thousands of NRG industry professionals worldwide and NRG Expert’s vast international client base. Question: What happens if I take the examination before my payment plan is completed? Answer: It is not possible to take the examination without having made all payments. If you are on a payment plan, you are always welcome to pay off a payment plan balance and receive your examination authorities in a more timely manner. Question: Can I have a refund if I don’t want to take the exam? Can I change my mind after taking the exam? Answer: Refunds will not be made after registration is complete and course materials and examination authorities have been provided. If you have any questions about this policy, please let us know. Your statutory rights are not affected. Question: How long does it take to complete the GEC program? Answer: The GEC program is self-study. While we recommend spending at least 100 hours to get through the NRG Expert Reports and Databases and the Study Guide. You can spread that out over 2 months or 12. There is no deadline to register for the course, but all examinations must be taken within one year of registration and are only offered once per month. Question: Are the course materials included in the tuition price? Answer: Yes, GEC Course Books prepared by NRG Expert are included in the tuition price. These will be made available within 48 hours after registration via secure download from the NRG Expert Sharefile platform. Please note that all course materials will be in password protected, non-printable or editable watermarked PDF format. The sharing of course materials outside of the GEC programme is strictly prohibited. Question: How do I schedule my examination? Answer: Upon registration and payment in full, GEC candidates will receive examination credentials and a password to take their examination between 1-12 months following registration. Examinations are administered online on the 10th day of each month. Please only take your examination when you are fully prepared, as re-examination fees apply. Question: What is the Global Energy Certification (GEC) designation? Answer: The Global Energy Certification (GEC) designation is a 100% online-based energy industry training and certification program that can be completed as quickly as you’d like. With 12 examination dates offered each year, the GEC program is flexible and made to fit your schedule. The GEC program is the most popular and trusted certification program built exclusively by and for energy industry professionals. Question: What makes the GEC designation different from other professional designations? Answer: There are four main differences: focus, practical knowledge, and study aides. The GEC is focused exclusively on international energy industry issues and topics. It is in-depth and comprehensive coverage of this niche area that provides professional achievement and development. The GEC program offers practical knowledge that can easily be applied to a variety of energy industry career positions such as finance, compliance, regulation, economics, manufacturing, analytics, consulting, or marketing and sales. The GEC program provides participants with more study aides than anyone else at no additional cost. Participants who register for the GEC get exclusive access to many NRG Expert Report and Database products. Upon achieving the GEC designation, all graduates are promoted by NRG Expert as being GEC compliant through a variety of methods, if the graduate so chooses. Question: I’m registered for the GEC, but when and where do I take the exam? Answer: On your chosen examination date you have 24 hours to begin your two-hour allotted time slot. This means that you can take the exam at any time between 12:01AM and 11:59PM Eastern Standard Time (GMT) on the date of your exam. (For corresponding times for your geographical location, please change the hours accordingly.) You will be sent the link and your login information at the time of registration. You will then have the allotted time aforementioned to start and complete the 2-hour exam. You can begin your two-hour time slot at any time. In regards to the location of the exam, you can take the exam from home, work, the library, etc. The GEC is a 100% online certification program. That means there are no testing centers or classes offline, so you can complete the program at your pace, leisure, and on your schedule. Examinations are held on the 10th of each month, giving you 11 opportunities to take the test once after registration. Question: If I am unable to take the exam within the 12 months following registration, can I move it to a future exam date? Answer: If you are unable to make your examination date, please contact us BEFORE the expiry of the 12 months. We are here to help, and we can usually accommodate you for no additional cost. If you do not contact us within the 12 month period following registration but still wish to sit your examination a £175 fee to reschedule your exam will be incurred. Examinations are held on the 10th of each month, giving you 12 opportunities to test each year. Exams are held on January 10th, February 10th, March 10th, April 10th, May 10th, June 10th, July 10th, August 10th, September 10th, October 10th, November 10th, and December 10th. Question: What will I be able to add to my resume after completing this program? What tangible benefit will I receive in terms of positioning my knowledge and skills against others competing for similar jobs? Answer: Participants who complete our program and pass our challenging GEC examination should be able to add the following entry to the Education & Training section of their resume. Completed challenging Global Energy professional achievement and development programme covering international financial, legal, regulatory, and economic energy issues. Obtained an ___% on the two-hour GEC international examination covering key industry terminology, Industry Deregulation & Privatisation, new technologies, the electrical supply industry, gas supply industry, Water supply & Waste, Renewables, Fossil Fuel and Conventional Energy, Hydrocarbons and Energy Finance. 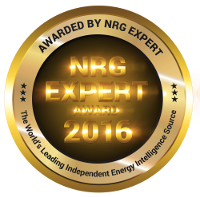 NRG Expert certified as holding a high level of specialized energy industry knowledge. Question: How much will I have to study or prepare for the GEC before sitting for the exam? Answer: This will depend on your previous exposure and work within the energy industry, but the typical amount of time expected is 100 hours. Question: I live outside of the USA, the United Kingdom and the European Union. Can I still earn the GEC designation? Answer: Yes, we have crafted the GEC designation program so that you may take the test online from anywhere in the world. By using a dual-layered IP tracking and password system, and by making the exam timed, we allow participants to complete the examination from their place of work or home anywhere in the world. The GEC is open to participants from all over the world, and unlike many other professional programmes it provides International Certification. Question: I know that I want to earn the GEC designation; how do I register for the GEC Programme? Answer: Registration is now open on a rolling-admissions basis so you can start this self-paced energy industry training program at any time. To ensure every participant has the best experience with the GEC programme, we limit the number of participants allowed in each quarter at 200. Question: How was the Global Energy Certification (GEC) programme started? What is the story behind what your training firm provides here within this program? Answer: For years, NRG Expert remained a business to business energy market research and intelligence provider. The high cost of NRG Expert market research products made it virtually impossible for students and individuals to use our products outside of what national libraries and educational institutions bought from NRG Expert, so due to popular demand NRG Expert created the Global Energy Certification Programme to provide energy industry education and training to students and business professionals. Question: I have read that the GEC is a rigorous and thorough course. What happens if I do not pass the exam? Can I take it again? Answer: Yes. Anyone who has failed one of the GEC exams may take it again. If receive a failing grade, there is a £175 fee to retake the exam. You can schedule your examination retake and pay the retake fee with our online form. Question: Can I use the text books, Wikipedia, the internet, etc., during the examination? Answer: You are welcome to use your notes during the examination, but if it is found you have cheated, no refunds will be issued for any portion of the program, and you will not be able to utilize the GEC designation in any fashion. There is no negotiation and no room for cheating in the GEC. Any indication of cheating will result in a failing grade. Question: What if I register for the exam and then change my mind? Can I get a full refund for the cost of the program? Answer: Yes, you may receive a full refund if you decide not to download the course materials and take the exam. We provide a 100%, no-questions-asked refund within the first 2 weeks of your registration, regardless of the reason, and so long as you have not downloaded any of the course materials or taken the examination. Please note that refunds will not be made after course materials have been download or you have taken the examination. If you have any questions about this policy, please let us know. Your statutory rights are not affected. To cancel your registration, simply email us in the first 2 weeks after registration at admin@nrgcertification.org. Question: How much does the Global Energy Certification (GEC) programme cost? Answer: The total program, including all course material and examination fee are included for a one time the total tuition cost is £330 GBP. The tuition payment covers the registration fee, online access to course materials, practice examination questions, the actual examination fee, and the certificate (emailed to you) when you pass. The only fees not covered, like other classes and courses, are the re-examination fees. Question: What are the passing rates for the GEC examination? Answer: The current passing rate for the GEC is 75% for first-time program participants. We expect our examination passing rate to stay in the 70′s every time we update the testing materials. These examinations are very challenging, but those who cover all of the required readings typically do well. Our chief goal is making sure that we add value to each participant and maintain the integrity of the programme. Question: What makes the GEC programme reputable? Who supports it? How well is NRG Expert known in the industry? Answer: The GEC Designation is the industry’s standard and recognized certification program built by and for energy industry professionals. Unlike other programs, the GEC was not built by analysts and general finance professionals who work in 20 different industries; the GEC was built by NRG Expert, the global leader in independent energy market research. NRG Expert provides cutting-edge energy market reports, databases, forecasts, consultancy and analysis to the world’s leading companies, consultancies and investment houses. Phone us to access over a million lines of world-wide energy data, analysis and information, collected from 100+ trusted sources. 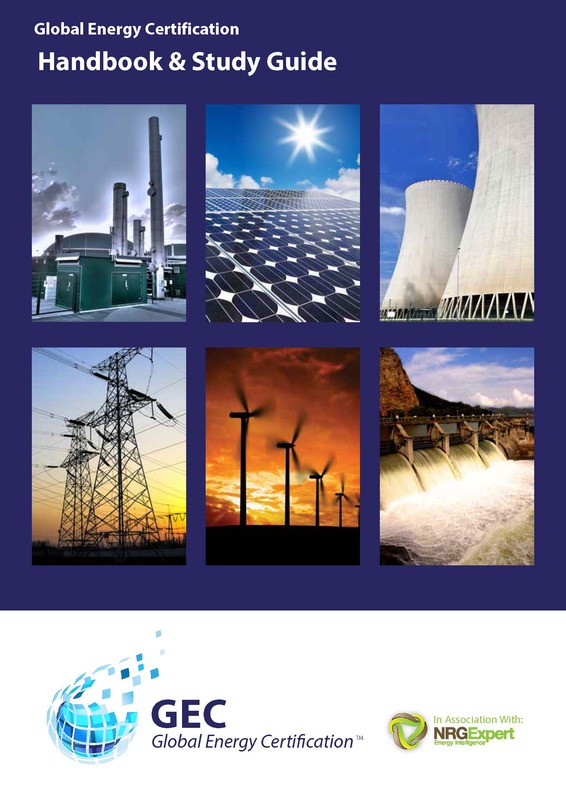 NRG Expert authors a vast portfolio of Energy Industry market research and intelligence products that are on the Bloomberg and EBSCO Platforms, and sold through prestigious market research sources worldwide. Clients include Goldman Sachs, McKinsey & Company, Boston Consulting, the World Bank, Citibank, Schneider Electric, Siemens, ABB, Bloomberg, and many other prominent international organisations and governments worldwide. The GEC program is becoming very well known around the world. Several companies have started requiring that their employees obtain the GEC designation, or share that they prefer candidates applying to hold the certification. Google, Bing, and all other major search engines recognise NRG Expert as the number one ranked source worldwide for “Energy Market Research” and related search terms. Question: What are the prerequisites for the GEC program? Answer: There are currently no prerequisites for the GEC program. The GEC is a professional self-improvement and continuing education program for those looking to boost their development and achievement within the energy industry. Question: When should I expect to get my GEC exam results back? Answer: You will receive your test results within an hour of completing the test online. Question: Does NRG Expert offer scholarships or discounts off the GEC program? Answer: Yes, for those not already in the program we do have a limited number of needs-based scholarships available. To apply for one of these scholarships please complete our GEC Scholarship Form. Question: What score do I need to pass the exams? Answer: To pass, you must earn a grade of 80% or higher on each examination. While the exam is designed to be rigorous and thorough, most individuals who have read the required readings and invested a significant amount of time studying for the test should do well. The exam is offered 100% online, so you may complete it from your place of work or from home if you wish. The exam uses a dual-layered IP tracking and password system to prevent abuse, is 100% multiple choice. Question: Do I need to pass each module of the test to pass the whole exam? Answer: No, an overall grade of 80% is all that is required to pass. Question: When is the exam open for registration and when does testing occur? Answer: The GEC Designation Programme is now open on a rolling-admissions basis so you can join at any time and complete the program at your own pace from anywhere in the world. Examinations are held on the 10th of each month, giving you 12 opportunities to test each year. Exams are held on January 10th, February 10th, March 10th, April 10th, May 10th, June 10th, July 10th, August 10th, September 10th, October 10th, November 10th, and December 10th. Question: How do I receive the certificate upon programme completion? Answer: Everyone who completes the test is emailed their certificate upon passing the exam. Question: Is there a time requirement on completing the designation? Answer: Yes, there is a time requirement of taking the examination within 12 months of registration. Question: Is the GEC Designation available in languages other than English? Answer: Currently the GEC program is only available in English. Question: As an employer, why should I hire someone who has earned the GEC designation? Answer: The GEC Designation is designed to ensure that participants master a certain level of energy industry knowledge across ten learning modules. This certification provides them with the necessary knowledge and skills to become an efficient and effective member of an energy industry management, sales, consulting, or analyst team. Question: I am currently a student. What are the benefits of earning the GEC designation for me? Answer: The GEC designation has been designed for experienced professionals and students alike. As a student you will gain critical knowledge needed to identify the area of the energy industry in which you prefer to work in. This program can also help you obtain internships because our team at NRG Expert provides networking resources. Starting your career with this knowledge base can save you years of job experimentation within various roles. As a GEC designation holder you have an advantage over others with the same degree. Employers seek those who have taken the initiative to gain additional knowledge relevant to their career. Question: What methods of payment are accepted for the GEC fees? Answer: We prefer registration through by credit card through Paypal on this website. We accept email based credit card and debit card orders, or payment by cheque. To register for the program please visit our Registration Page. Sign up for Talking Energy. Quotes from an Energy Professional. » Why Take the Course?